In respect of each deduction made on or after 01-04-2012, every type of deductor will have to download Form 16A file from TIN web site and then issue the same to deductees. CBDT has issued Circular 01/2012 in respect of issue of Form 16A for FY 2012-13. 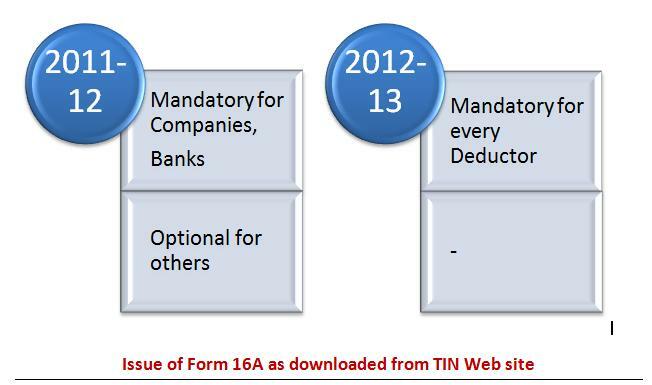 Every deductor has to now issue Form 16A which are generated through TIN system and downloaded from TIN web site. 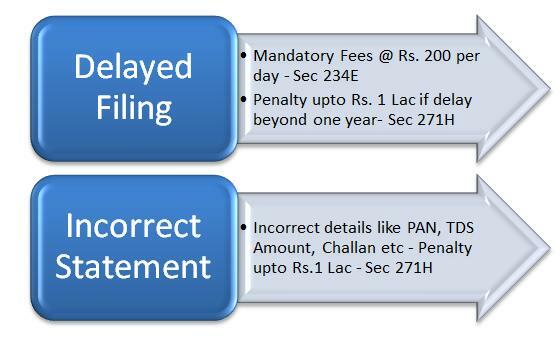 This is applicable even to Government deductors who deposit TDS in the central government account through book entry. This procedure is already explained in our previous blog .